Come and discover the breathtaking scenery of Scotland, vibrant culture and world famous heritage. 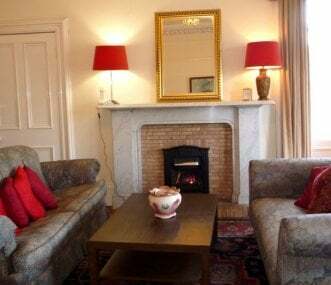 Plan your gathering with friends and family in some our wonderful self catering group accommodation properties. 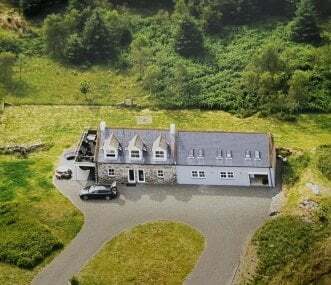 Rent a large holiday house, spectacular castles, comfortable bunkhouses or busy outdoor activity centres. Head for the Highlands and Islands, beautiful Scottish Borders, stunning beaches or the wonderful mountains and lochs of central Scotland. The dramatic scenery will take your breath away. 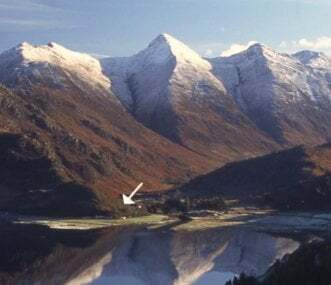 There is always an adventure to be had in beautiful Scotland whether it be festivals in Edinburgh, Glasgow or Inverness or outdoor activities to thrill you. 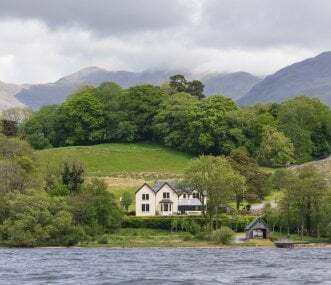 Luxury lochside Scottish holiday house near Kilchrenan in Argyll with magnificent scenic views across Loch Awe and accommodation for up to 12 persons. Games room and hot tub. Private jetty. 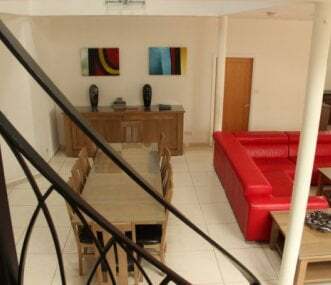 Luxury renovated church with sauna and full size snooker table suitable for groups of family and friends. Central rural location with short travel times to both Edinburgh and Glasgow. 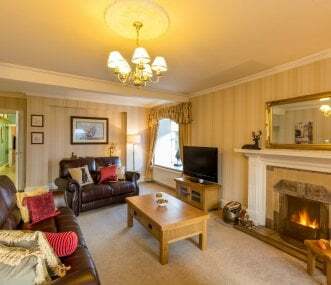 Vicarsford Farmhouse in Leuchars near St Andrews offers self-catering accommodation for up to 10 guests. The Farmhouse is dog friendly and has a private hot tub overlooking the Fife countryside. Large Victorian Scottish Borders apartment in picturesque Melrose. Sleeps 12 + 3 . Ideal for friends & family gatherings. 5 minute walk to centre of village for pubs & eateries. Edinburgh just 1 hour. 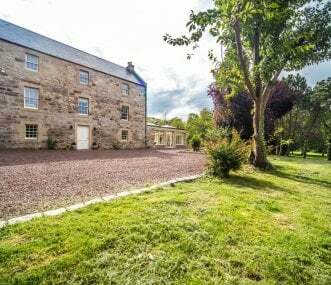 Farmhouse, with private hot tub, sleeps up to 10 in 5 bedrooms with gorgeous views over the Angus countryside. In Kirriemuir. Dog friendly.